A pet installation is unique. There is no doubt Synthetic grass will beautify your home, but the most important aspect of this type of installation is the performance. Unlike many synthetic grass companies, we understands that pet urine can create unwanted odors that will turn your new synthetic lawn into an unpleasant experience. This is why it is important to make sure the urine does not bond with the grass backing. The Pet Ultimate K-9 System utilizes a five step process to prevent odor issues by focusing on aeration, drainage, neutralization and of course beautification. Each step of our system compliments the other to create the perfect combination for great looking and fresh smelling synthetic grass. 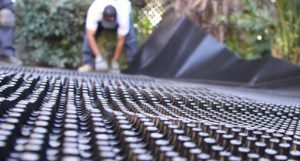 From our antibacterial Durafill, urine neutralizing ATD, UV stabilized Pet Turf and perforated Drain Core to our non-toxic Turf Fresh, this system was designed to meet the needs of pet owners. Where multiple active dogs reside and play, the Pet Ultimate K-9 System is exactly what you need. All of the products in our system have been tested and are safe not only for your pet, but also the environment and most importantly, you and your family. Our Artificial Turf Deodorizer is an alternative to infill, targeted specifically for pets. Our product is the only one of its kind to carry a negatively charged ion, this is the key ingredient that prevents ammonia from turning into a gas, thus eliminating any unpleasant smells. Our product is designed to attack and control odor. Rest assured, Zeolite Max can be combined with other infills, added to current applications, or be used on its own to achieve total odor control. 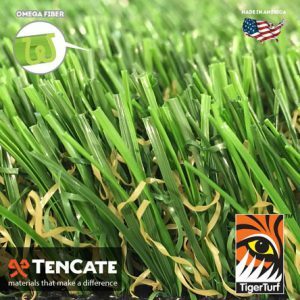 This product is an ideal cost effective alternative to preserving fresh synthetic grass. 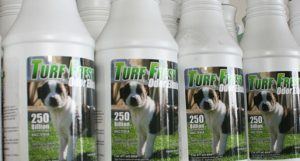 Turf Fresh does just that–it keeps your turf fresh! It’s the perfect solution for pet owners who want to avoid lingering smells caused by their furry friends. When applied directly to your artificial grass, Turf Fresh’s active enzymes break down odor-causing bacteria hiding in the turf. It’s an organic solution that’s safe for pets, children and the whole family. Keep your pet turf smelling pleasant with Turf Fresh! DURAFILL is the latest technology in infill product for synthetic grass. The following are some of the many benefits of Durafill; Animal Urine and other external elements are not absorbed which eliminates building bacterial spores within the infill product. Durafill does not degradate over time and does not need repeated applications. 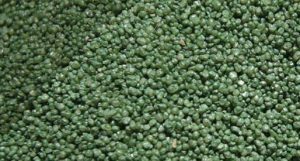 Durafill does not become blistering hot in the heat which would otherwise cause more heat by transfer to the synthetic grass. Durafill is environmentally safe and does not contain silica dust, zinc or heavy metals.